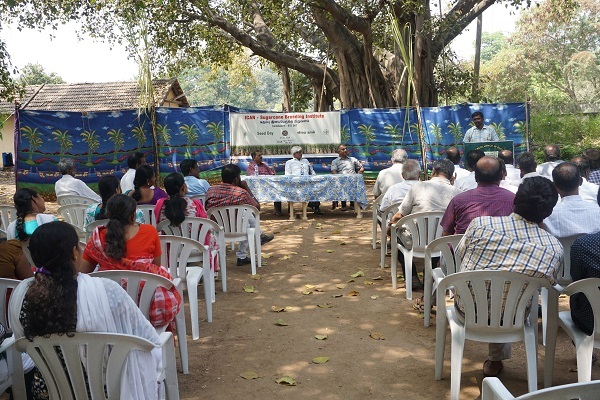 "Cane Adviser - A Mobile app for Sugarcane"
Consr. 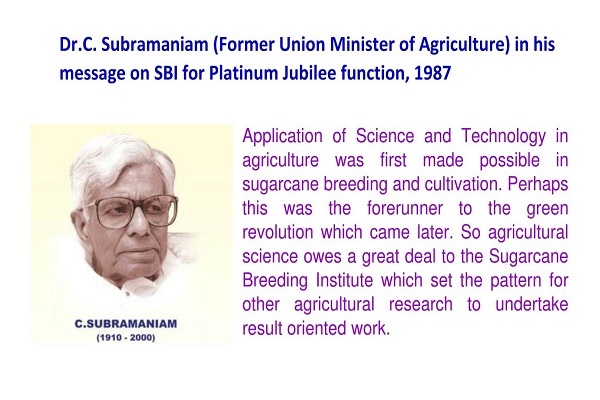 for e-Resources in Agri. 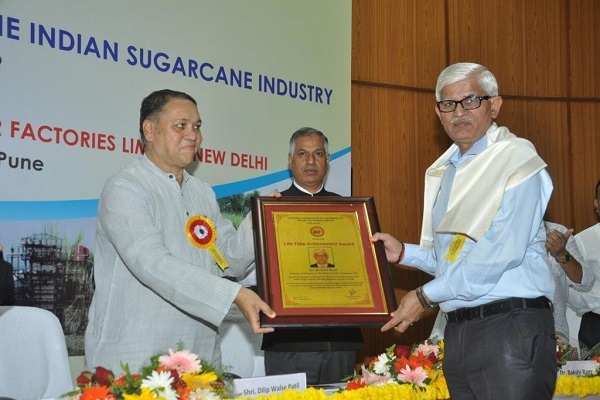 Dr. Bakshi Ram, Director, ICAR-SBI, receiving Haryana Vigyan Ratna Award 2018 presented by DST, Govt. of Haryana from His Excellency SH. 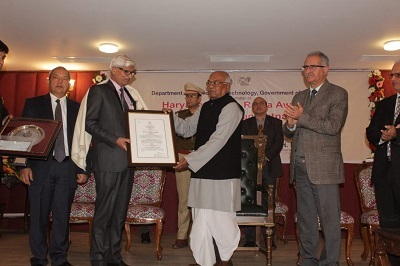 SATYADEO NARAIN ARYA, Governor, Haryana. 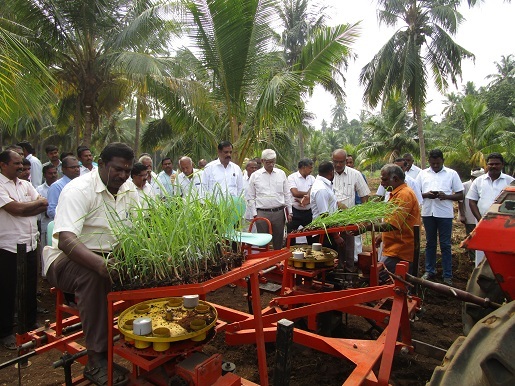 Mechanical transplanting demonstration on 07.02.2019 at Sakthi Sugars by ICAR-Sugarcane Breeding Institute, Coimbatore. 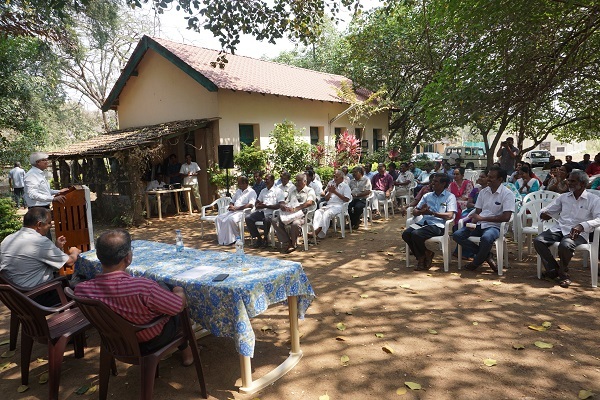 National Science Day was celebrated at ICAR-Sugarcane Breeding Institute with the participation from various schools and colleges on 28.02.2019. 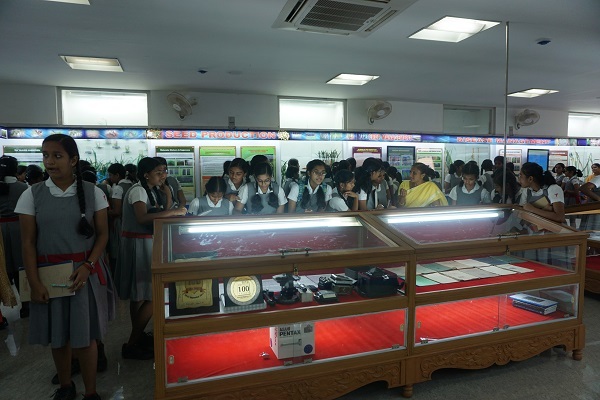 Students visiting the Institute museum on the occassion of National Science Day Celebrations on 28.02.2019. 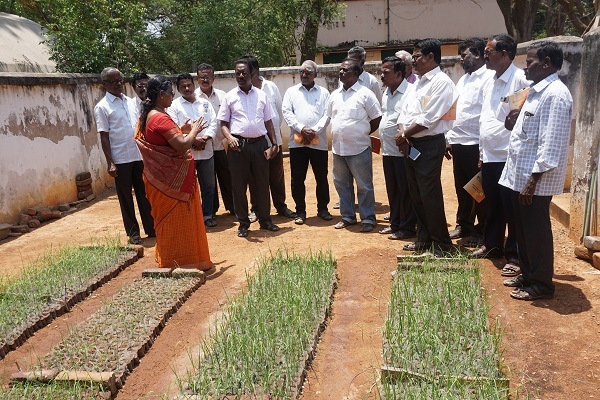 Farmers and Scientists participation on Seed Day at the Institute Breeding station on 27.02.2019. 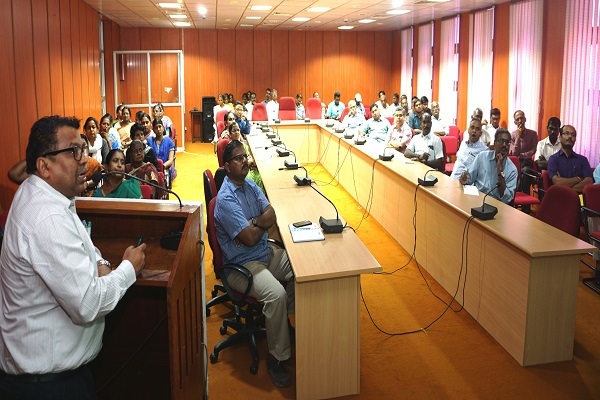 An interactive Session on the use of KRISHI (Knowledge based Resources Information Systems Hub for Innovations in Agriculture) portal conducted by Dr. Rajender Parshad, PI, KRISHI at the Institute. 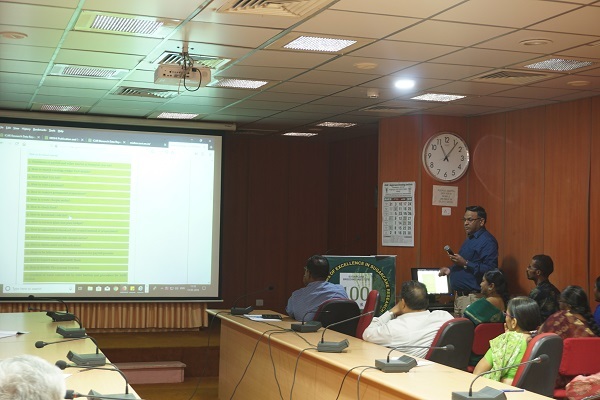 An interactive Session on the use of ICAR-ERP system was conducted by Dr. Mukesh Kumar, PS, IASRI, New Delhi at Institute Auditorium on 13.03.2019. 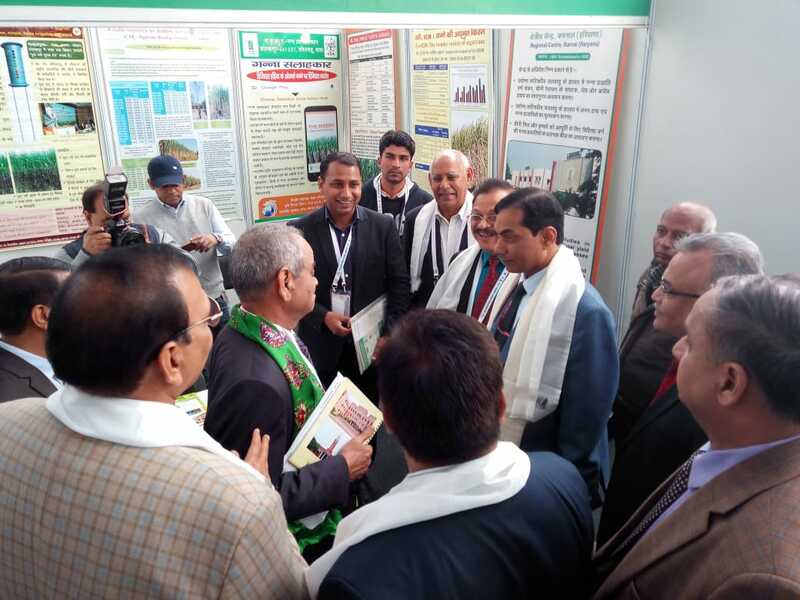 Dr. Trilochan Mohapatra, Secretary (DARE) & DG (ICAR) visited ICAR-SBI, Karnal stall at the PUSA Krishi Vigyan Mela - 2019 held during March 05-07, at Indian Agricultural Research Institute (IARI), New Delhi. 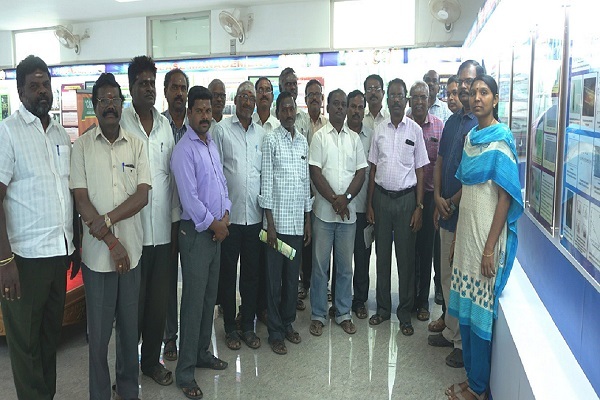 Farmers' training on 'Advances in Sugarcane Cultivation' was conducted at ICAR-Sugarcane Breeding Institute on 22nd March, 2019. 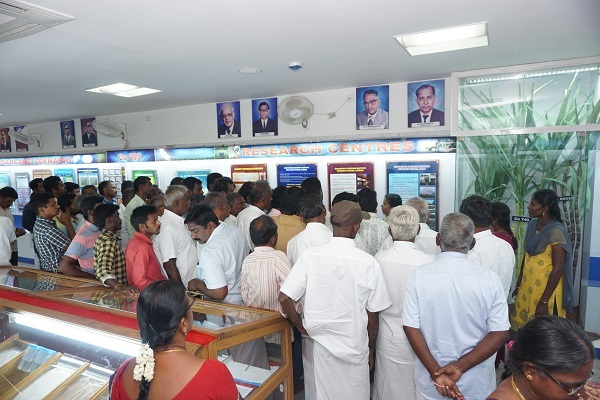 Visit to Institute Museum by farmers during the training program on Advances in Sugarcane Cultivation. "LIFE TIME ACHIEVEMENT AWARD "
गन्ने ने किसानों को बनाया आत्मनिर्भर : बक्शी राम (Source: जागरण संवाददाता, करनाल)"
World Soil Day was celebrated on 05.12.2018 in a farmer’s field at Vairamangam, Erode District." 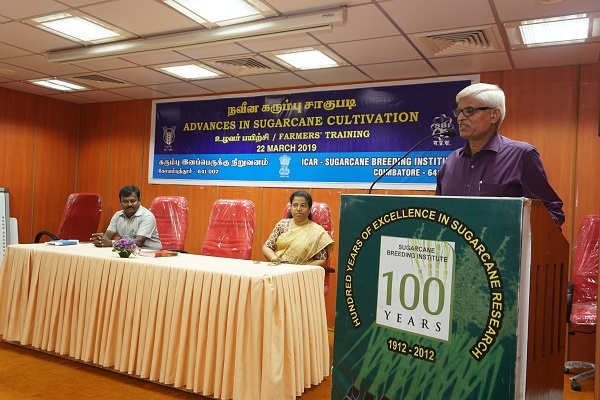 "Updated Advisory for fall armyworm attack in sugarcane"
Mobile-App "Cane Adviser" on Sugarcane for Cane growers and millers launched.